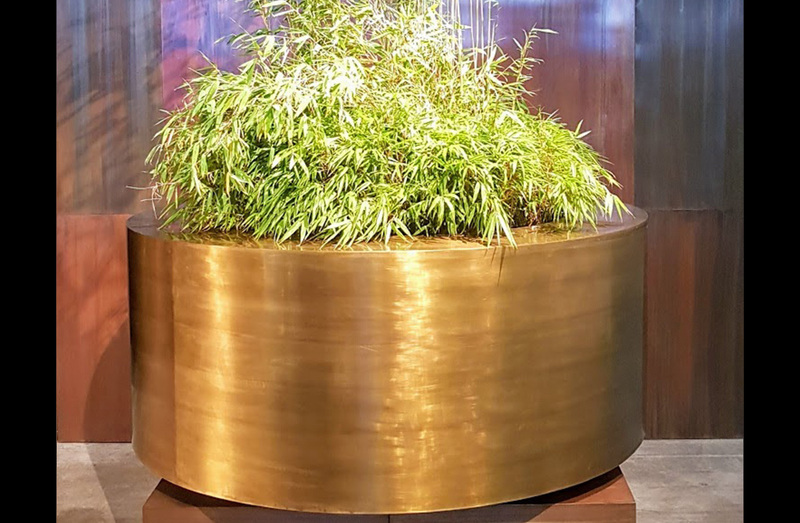 Indoor / outdoor planter in round or squared shape in patina brass finish. Outdoor version has stainless steel drainage port. Available to order in a choice of 10 sizes.